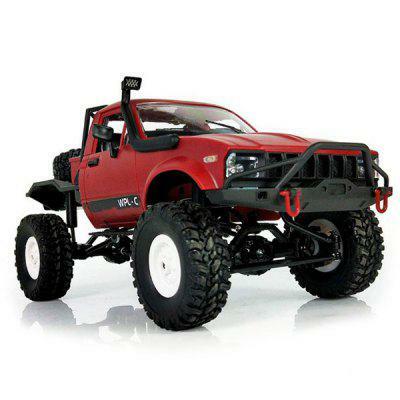 In just under a year, Traxxas has managed to secure solid footing in the R/C scaler world with their TRX-4 platform. From the original Land Rover Defender to the mind-blowingly beautiful Ford Bronco (and everything in-between), they’ve created some amazing machines that have garnered a loyal following. If the TRX-4 buzz has been too hard to ignore, now you have another option to whet your appetite for off-road action. The TRX-4 Sport has been introduced as an entry-level base-model for the Traxxas crawler lineup. Built on the same basic platform as previous TRX-4 models, the Sport version offers fewer features at a lower price. Getting to the price in a moment, the TRX-4 Sport chassis design is generally the same as what you’d find on previous models, however, the “creature comforts” of remote locking differentials, cruise control, and body/chassis accessories such as inner fenders, are not included on this rig. What you’re left with is an “all-business” approach to a radio-controlled trail truck. The TRX-4 Sport is powered by a brushed, 21-T motor which provides solid power for trail and technical driving. As with all other Traxxas TRX-4 models, the Sport features an adjustable, a steel frame rail, ladder-frame chassis, adjustable shocks, and steel suspension links. On the exterior, the TRX-4 Sport features a nondescript pickup truck body that’s lightweight and designed for performance. While this lid lacks the visual impact of the TRX-4 Bronco or TRX-4 Tactical Unit, it’s a solid, yet fun option that will get you into the scale R/C game with room to grow. With a standard wheelbase of 12.28 inches, you can easily swap out the stock body with something that features more details. Priced at $359.99, the Traxxas TRX-4 Sport will be available online and through your local Traxxas dealer. Visit traxxas.com for complete details about this model.